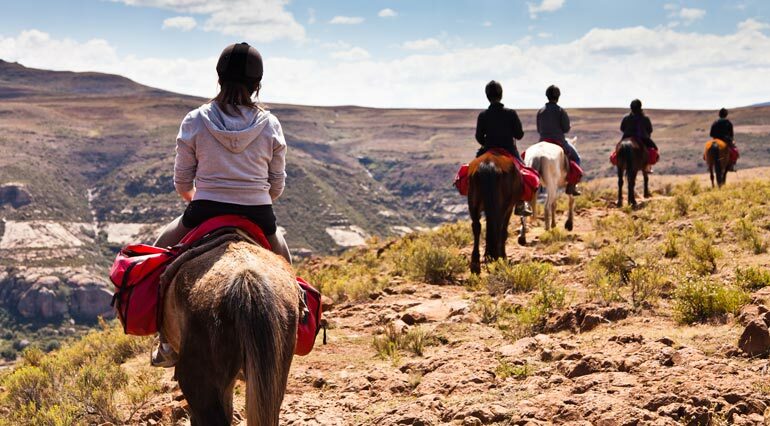 All horses, including the most docile of them, experience stress when traveling. It’s common for horses to suffer from dehydration, exhaustion and even a weakening of the immune system when in transit. A recently shipped horse is more vulnerable than it may appear. In fact, researchers have identified many subtle effects experienced by horses being transported. Here are five tips for traveling with or transporting horses that are based on current knowledge gathered by researchers. As more is learned about the topic, these guidelines could very well change in the future. By taking these stress-reducing measures, you’ll be able to improve upon your horse’s response to the time spent traveling. To avoid dehydration and to reduce the risk of your horse getting impaction colic, encourage your animal to drink. Because horses don’t like the taste of strange water, you can mask the taste with an additive such as apple juice. Provide this to your horse before transportation, so it won’t notice any change. It’s wise to offer your horse water at each stop or at least every four hours. Even though it is common for in-transit horses not to drink during the first eight or so hours, you should still offer your horse water. Some people like to pacify traveling horses with hay to help retain water in the gut. It should be noted that hay dust could blow directly into a horse’s respiratory tract in some trailers; however, wetting the hay can do away with this dust. Putting your horse in the trailer is the most stressful part of the entire traveling experience, and it’s also when your horse is more prone to becoming injured. Therefore, it’s advantageous to get your horse familiar with loading and transit. By loading your horse on the trailer every so often and taking short trips around your area, your horse will become more familiar with the entire experience of loading and traveling, and thus, it will feel far less stress. When you tie your horse in the trailer, give it enough rope so that it can lower its head but not too much to get tangled in the rope. Your horse needs to lower its head to clear the lungs and sinuses to prevent respiratory problems. Elastic trailer ties do a better job than solid ones, as horses tend to stay calmer when tied in a trailer. Also, be sure you use a good strong halter. It’s very important that you keep the trailer very clean and properly ventilated because ammonia can negatively affect your horse’s respiratory system. Be sure to clean the trailer out at each stop using a stall fork. Unless you are traveling when it’s extremely cold or rainy outside, the risk of your horse getting too cold is minimal, so leave air vents and windows open. If you’re concerned that your horse will get too cold, blanket the animal instead of closing vents and windows. Even though there have been no major studies done on the effects of driver technique on transported horses, experts agree that a slower, steady pace is better than driving fast or erratically. Remember that your horse has to exert energy to keep its balance while on the road, so think of how you’re making turns and taking curves.